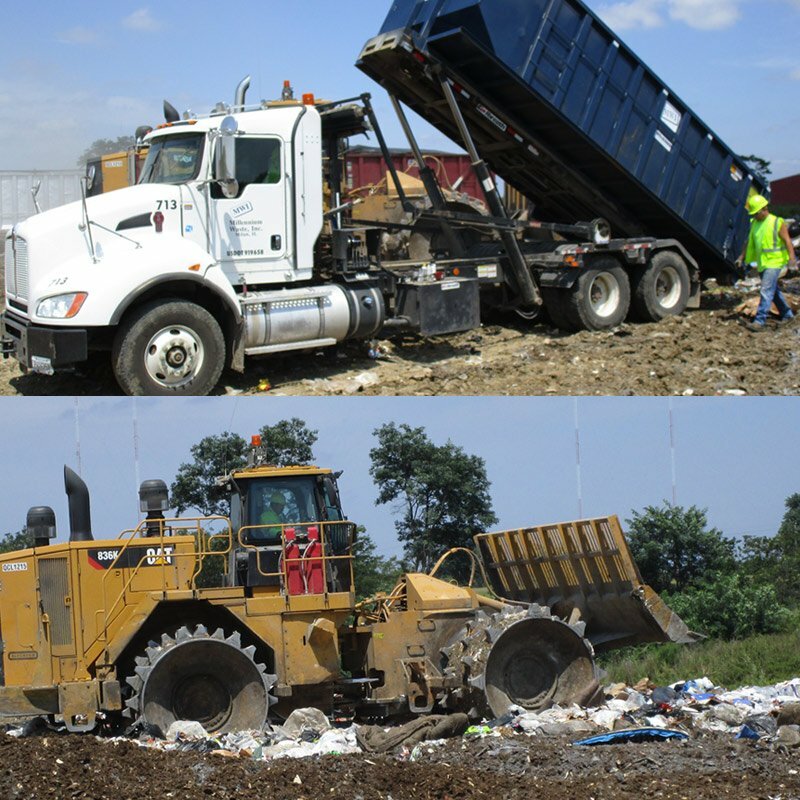 Our commitment to clean and safe waste management extends to the Quad Cities Landfill, in Milan, IL which we own and operate. As the Quad Cities' leading waste management company, Millennium Waste equips the landfill with environmental monitoring systems, gas and leachate management systems, and a storm water pollution prevention plan to ensure compliance with all state and federal regulations. Additionally, our personnel are trained to prevent the acceptance of hazardous waste and other banned materials into the landfill. A safety video for all Quad Cities Landfill users. All loads must be covered. Uncovered loads will be rejected and not allowed into the landfill. The city of Rock Island has entered into a cooperative agreement with MWI to administer a program to dispose of municipal solid waste and yard waste on Saturday mornings only. Valid identification that the patron is a resident of the city of Rock Island must be presented. The identification must be state or federal government issued and not expired. Each load will be charged $14, payable with cash or MC/Visa. No checks. Remember it's not waste until you waste it! Unlike a garbage dump, the EPA defines, "Modern landfills are well-engineered and managed facilities for the disposal of solid waste. Landfills are located, designed, operated and monitored to ensure compliance with federal regulations. They are also designed to protect the environment from contaminants, which may be present in the waste stream. Unlike the old garbage dumps, the EPA states, “Landfills cannot be built in environmentally-sensitive areas, and they are placed using on-site environmental monitoring systems. These monitoring systems check for any sign of groundwater contamination and for landfill gas, as well as provide additional safeguards. Today's landfills must meet stringent design, operation and closure requirements established under the Resource Conservation and Recovery Act (RCRA)." "The Resource Conservation and Recovery Act, was enacted by Congress in 1976. RCRA’s primary goals are to protect human health and the environment from the potential hazards of waste disposal, to conserve energy and natural resources, to reduce the amount of waste generated, and to ensure that wastes are managed in an environmentally sound manner."